Our approach to helping you achieve fundraising success is based on the understanding that no two charitable organizations are alike. There is no single strategy that can automatically be applied successfully to every organization.  In supporting our clients, Protexia conducts a thorough review of an organization’s past fundraising performance. We want to learn from the fundraising success stories you’ve already authored and enjoyed. The result is a customized approach that meets your objectives and positions you for sustainable success. We work closely with your executive, fundraising, and communications personnel – as well as your volunteers – to ensure clarity of purpose and consistency of practice.